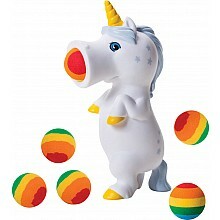 Squeeze, and 'POP' - soft foam balls shoot up to 20' away! 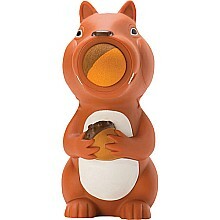 For ages 4-10 yrs, from Hog Wild. Squeeze and pop! The soft foam ball shoots out! For ages 4-10 yrs, from Hog Wild. Splat! 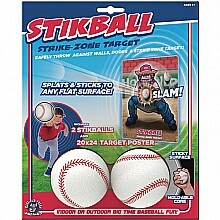 Throw your Stikball against any flat surface - it sticks! 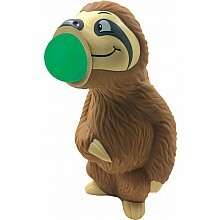 For ages 4-10 yrs, from Hog Wild Toys. 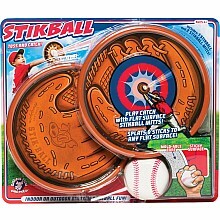 Sticky Stikballs won't leave marks, so throw them against any flat surface! For ages 5-10 yrs, from Hog Wild.